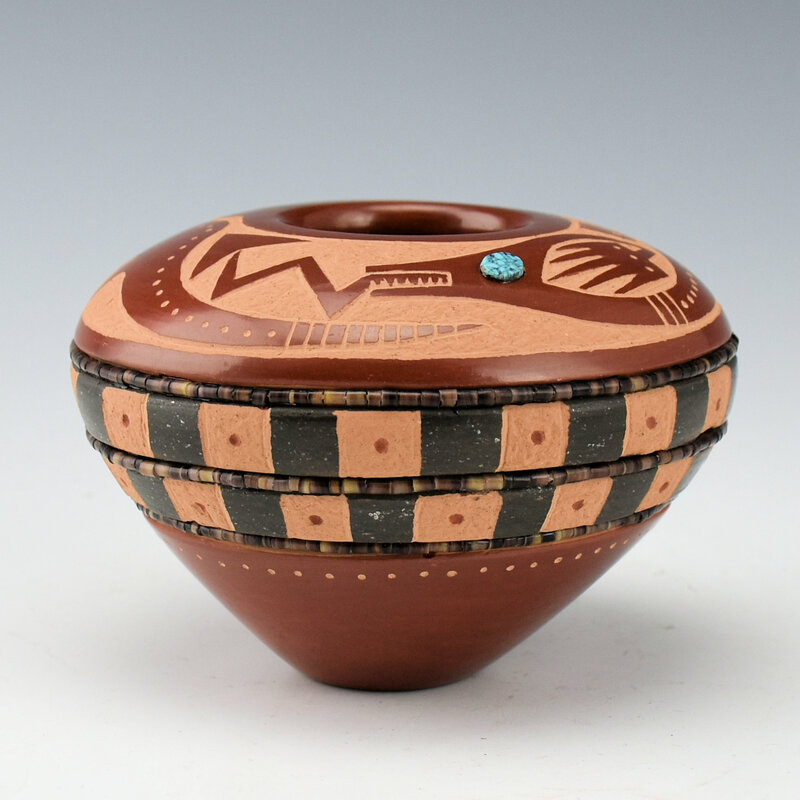 This seed bowl by Russell Sanchez incorporates two different colors of clay. 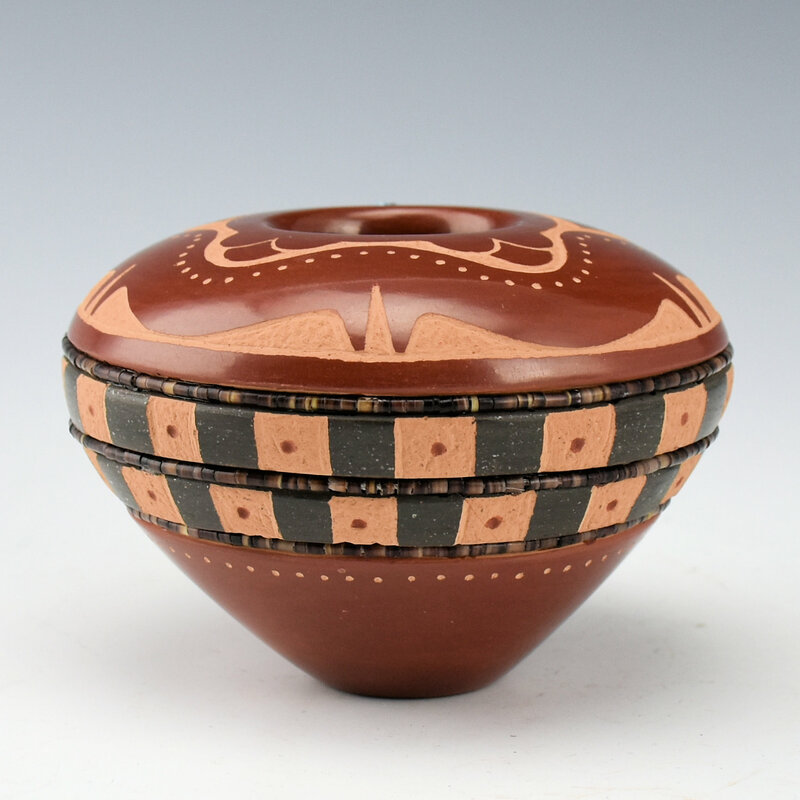 The top and bottom are slipped with a deep red clay. The center has two bands of black clay which has been stone polished. 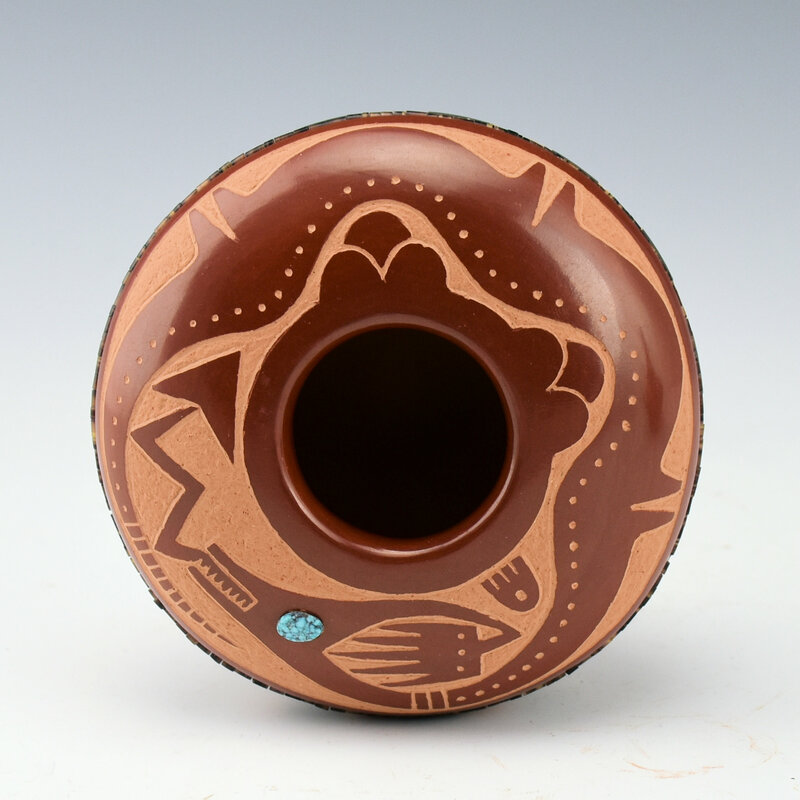 The design on the top of the piece is a water serpent (avanyu) which encircles the bowl. Note the additional designs with the avanyu including the dots along the back and the bear paw. There is a single inset piece of turquoise for the eye. Below the avanyu are two bands of checkerboard corn patterns. They alternate from polished black to matte with an incised dot of red. The bowl is beautifully polished and fired. 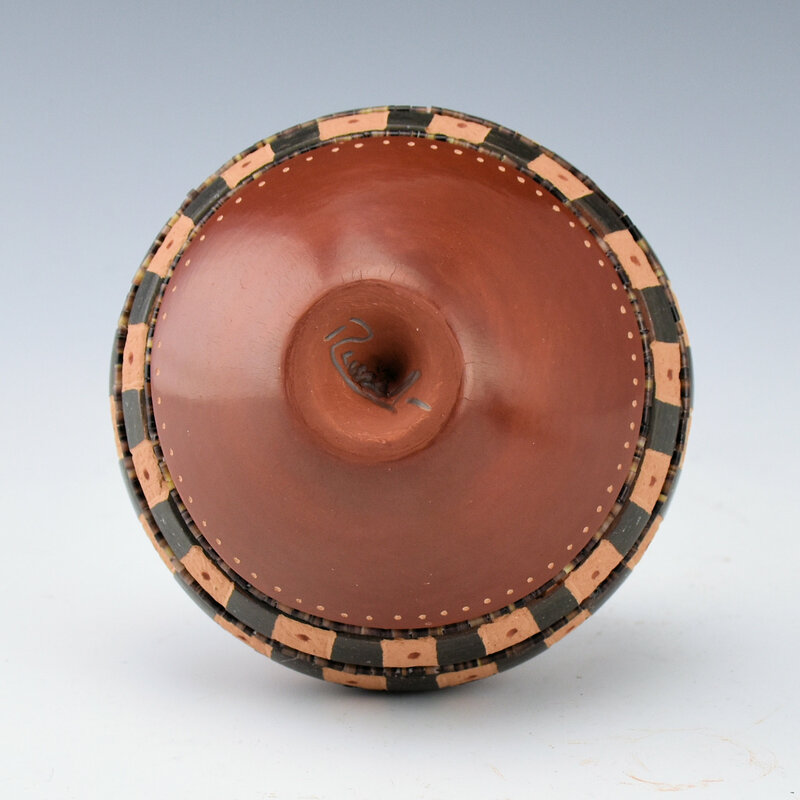 There are three bands of shell hei-shi beads inset into the piece. 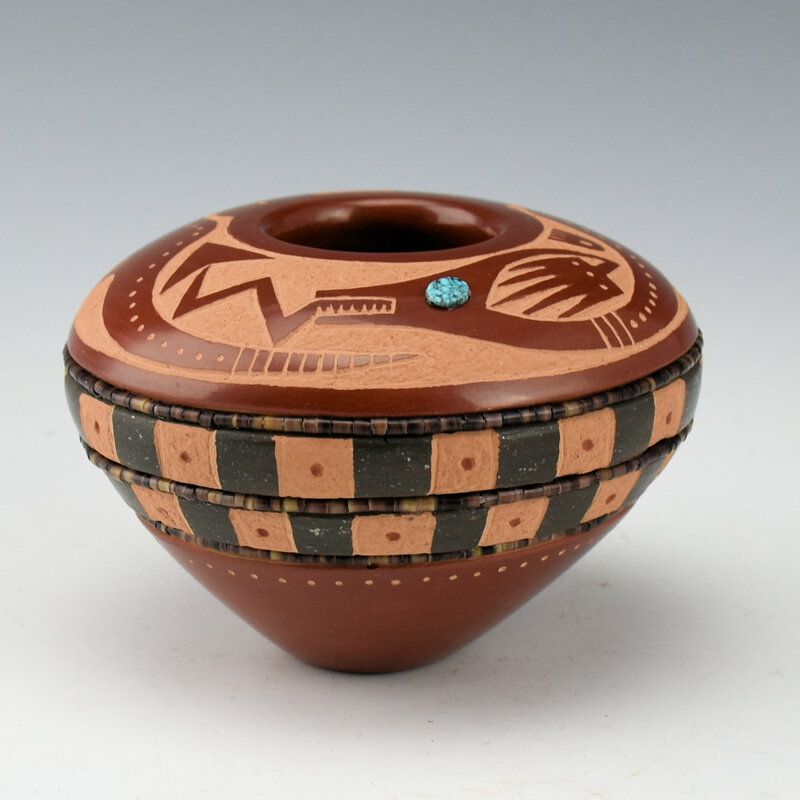 The bowl is signed on the bottom in the clay. 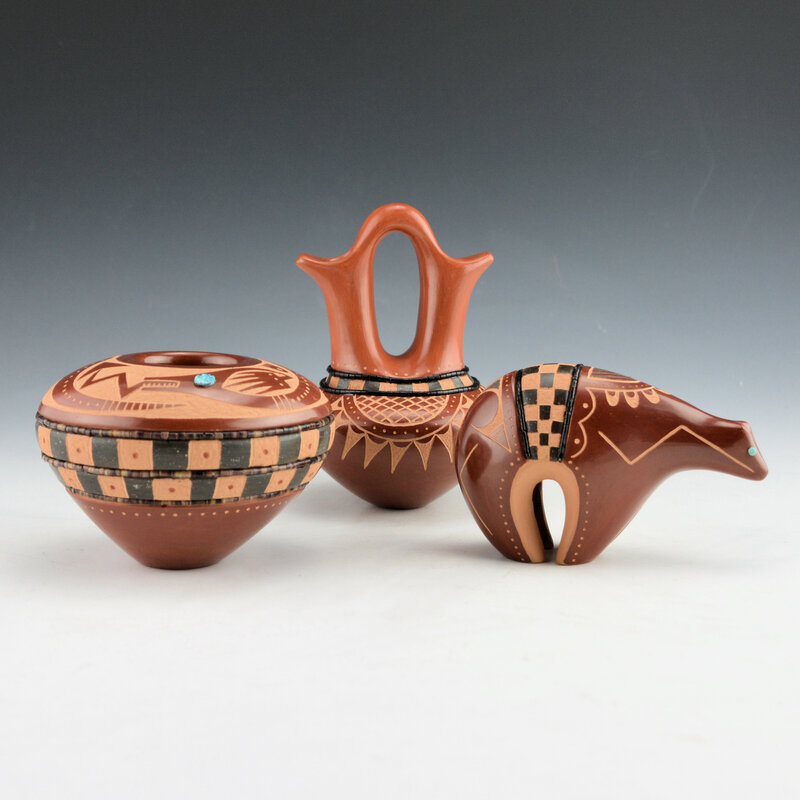 Once again Russell deftly revives historic San Idlefonso designs and stories and uses them for his own contemporary work.